It was six months, almost to the day, from the time I finished chemo treatments, that my husband and I decided to try to get pregnant with our second child. Six months is the requisite time needed to allow the chemo to get out of your system, for all the traces and leftover hidden poisons to disappear. When we saw the plus sign on the test only nine days later we were excited but cautious; we’d had a hard year. At the twelve-week ultrasound we were supposed to find out that everything was fine, and afterward we were going to pop the cork on the champagne bottle, and tell everyone the news. But it turned out that the baby was anencephalic—meaning it had a neural tube defect—which in our case caused the skull to not form properly to cover the brain. These babies, it turns out, don’t self-terminate, but are also not viable at birth. We chose to terminate instead of carrying the baby to term. We had gotten pregnant blindly, believing the only health risk was to me, not to the baby. The next time we got pregnant, months later, we went into the process with the impending idea that we might have to terminate a baby again. Mothers who conceive one baby with anencephaly have a higher risk of conceiving another. And this choice, to get pregnant knowing full well you have a high likelihood of having to terminate the baby, is the topic of Bonnie J. Rough’s memoir, Carrier: Untangling the Danger in My DNA. Rough’s family members are carriers of a rare disorder called “hypohidrotic ectodermal dysplasia,” or HED. The main physical symptoms are “sparse hair, peg- or cone-shaped teeth, and the inability to sweat” with secondary symptoms of “dark circles around the eyes and a saddle-nose deformity.” The disorder is “carried invisibly by mothers and passed to sons,” thus weaving a pattern of motherly guilt through the narrative of Rough’s family tree. We see her grandmother feeling “guilty of something . . . [my grandfather’s] little wisp of a body daily broke his mother’s heart” and her mother sitting beside Rough’s brother crying, “I’m so sorry.” All this could make having a baby harrowing, knowing they were at high risk for HED, but what sets Rough on her journey to decide whether or not to become a biological mother, and by what means, is even more difficult: a test is developed during her lifetime that can tell her whether or not she is a carrier (she is) and a test is developed that can say whether or not a baby in utero is actually affected. I cannot picture the loss of my children for more than a moment without my mind going blank, the possible pain of that situation seeming overly gratuitous even for my self-torturing imagination. It is a similar aversion, I suspect, that leads Rough to frame the question of whether she should have a baby with HED not in terms of: is my brother (who is afflicted with HED) worth it? Would I delete his life? But rather, would I terminate a baby with the affliction so that a different, healthy baby can come into the world? When I terminated my pregnancy I knew that the child would not live very long if born, but we chose no breaths over a couple days of labored breathing. We chose it for our child, but more, we chose it for us. I hadn’t realized that so starkly until reading Rough’s careful questioning. What the book really seems to be contending with deep down is whether or not you can choose this—a healthy child—as a mother, for yourself. Are you allowed to say, I am bringing a baby into the world, but it may not be this one. This one will suffer, and I don’t want to watch my child suffer. 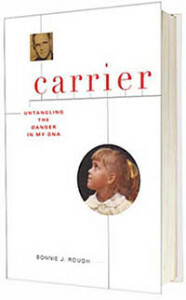 The book, in fact, begins and ends with the image of Bonnie being lain in her grandfather’s arms for the first time, with the joy and nervousness that he experiences holding a new, healthy child. 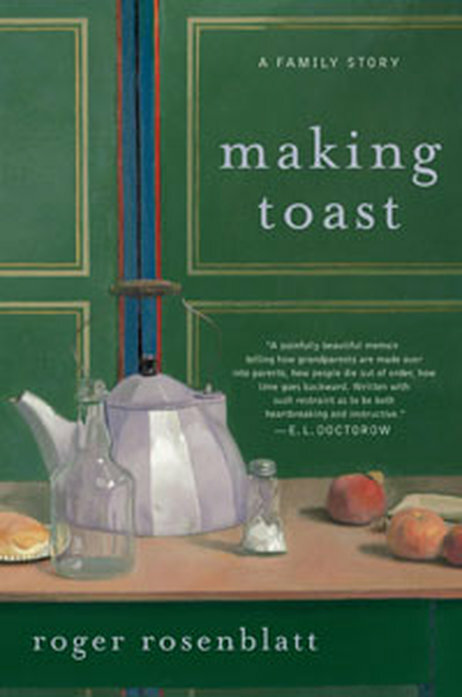 The story from her mother is a transcription of interviews, Rough’s own narrative is a work of memoir, but her grandfather’s story—when it is not told from these other perspectives—is told from the first person. These fictional accounts are a way for Rough to get into his head, to try to understand his life not just for its effect on others, but on himself. We see him as “a real child, not a research project.” As her mother says, “You are part artist and part scientist. Maybe you were meant to show us what happened.” It removes our prejudices and allows us (and Rough) to evaluate his life as a human being. This, along with all the other perspectives, are important for everyone’s stories, because they are all interlinked. They are a family: like it or not. What is most interesting is that when she exposes the horrors of his life and its effects on everyone and we begin to see that this is not necessarily the work of the HED, and that a child born with this could be as fabulous as her brother, she still allows herself to say, I do not choose this for me or for the child. I understand this, having chosen a healthy baby. Of course, my baby would have died and hers would have lived, but now, seeing my second child grow and laugh and become a person, how could I not be thrilled with the choice? He is who I brought into this world and I love him. Which is much of Rough’s point: we love our children no matter what. The question is how much misery should you knowingly force on them? And on you? The six months during which I had to wait before trying to get pregnant was also the time when I was at the highest risk of the cancer coming back. The risk is only slightly diminished in the next year and a half, and so one of the things we need to decide is, If I am going to get cancer and die, do I want my daughter to have a sibling? Does my husband want two children to raise on his own? And then only in the very far reaches in a completely selfish and self-important way do I think: do I want to leave two children saddened, grief-stricken that they don’t have a mother anymore? 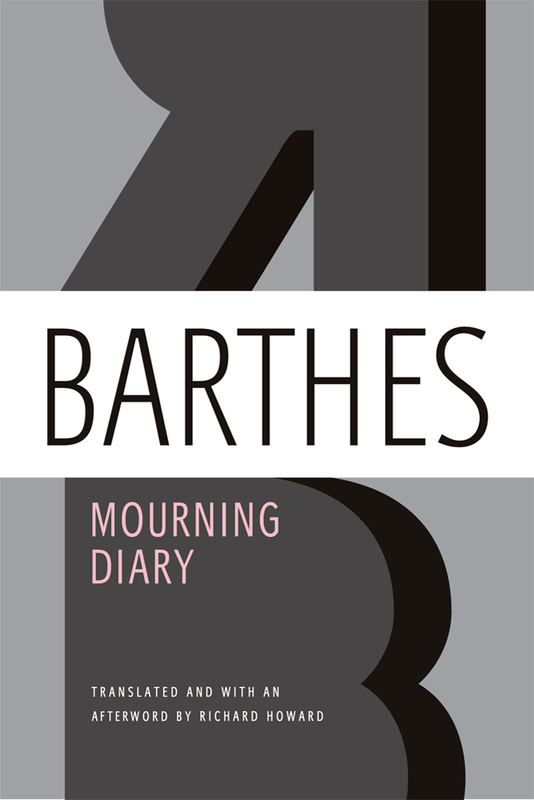 He tells us, like Rough does, “[I]t’s impossible (meaningless, contradictory signs) to measure how much someone is afflicted [by bereavement].” But it is safe to say that Barthes seems rocked to the bone by his mother’s death. Even in moments of relief he says, “Sometimes, very briefly, a blank moment—a kind of numbness—which is not a moment of forgetfulness. This terrifies me.” And later, on November 28: “Does being able to live without someone you loved mean you loved her less than you thought?” In many ways it seems that he does not want to move on. This is a constant, unrelenting pain that you do not wish for your child. When you are told you have a disease that can kill you, and you have an overactive imagination, you—at least I did—struggle with this possible-death. When I was first diagnosed, I spent time picturing my motherless child, imagining her watching video clips of me so that she could understand her own facial expressions and hear the echo of my voice in hers. 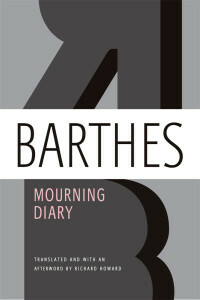 I imagined not just her pain—in Barthes’s way—but her asking again and again for stories about me. I pictured her going to kindergarten without me. I wondered who would know how she likes her peanut butter and jelly. I wanted to know, I guess, who would care for her. I anxiously searched for answers in Roger Rosenblatt’s memoir Making Toast—a book detailing the loss of his daughter Amy when she was only thirty-eight years old and his move (with his wife) to Amy’s house to help her husband, Harris, raise their three children, Jessie, Sammy, and James. I hoped it could tell me how my family would exist without me. Who would bring them to school? Who would be their mom? But he doesn’t harp on the idea that the children are motherless or that they don’t have someone to sing them the same songs. He tells of learning to lock the doors and how to operate the dishwasher and thermostat. Then he simply says, “Ginny handles most of the essentials. She lays out the children’s outfits for the day, supervises the brushing of teeth, braids Jessie’s hair, and checks the backpacks. There is hardly a moment when she is not on call.” He reminds us that “something about the momentum of our lives is good for us, keeps us from sinking. Given the choice between confessions of sorrow, however cathartic, and the simplest act of getting on with it, we’ll get on with it.” This isn’t meant as nasty, of course, it is more about keeping busy, not drowning in sorrow. And as the book progresses it begins to allow in more and more moments of sadness, both from the present and right after the death, showing us, perhaps, how you have to keep moving, sometimes, before you can take the time to be sad. I was particularly interested to see how Amy’s youngest child, James (called Bubbie), who was not even two at the time of her death, would react, how he would even remember her. After all, if the cancer comes back, I have a one-year-old. But Rosenblatt doesn’t give me the satisfaction. He has created the picture of a loving, sly, witty daughter with a lovely marriage that was “like a solid tennis doubles team. Neither one had to look where the other was standing.” I fall in love with Amy, hearing stories from her friends, her relatives. What I begin to see is the mourning experienced at the loss of an adult child. He writes, “The trouble with a close family is that it suffers closely, too. I stood with my two sons in the cold and put my arms around them, feeling the shoulders of men.” Here he uses the strength of his grown children to mourn the loss of another. The shock of losing an adult child is that it happens when you have taken a deep breath and think all your hard work is finished. I wanted to know who my children would replace me with, and instead I realized how horrible it would be for my parents to lose me now, or how painful it would be to lose my children in the future. For days after reading the book I shut my eyes to sleep thinking of two-year-old Bubbie asking “‘When is Mommy coming home?’ He has never said such a thing. He was just starting to talk when Amy died. All this time, has he been thinking she was simply away?” I wonder, too, if my one-year-old would remember me. It unnerves me to think that he might not. And so this moment, in all its dramatic sadness, is a bit heartwarming. When I’m honest I think: but I love them, and I’ll miss them. I don’t want my children to feel pain, but as a person I want to be mourned, and as someone who has given in to defining herself with motherhood—at least so far as I’ve given up my single-minded focus on myself as I raise my children—I want someone to remember me as their mother. Jena Salon is the Senior Editor of TLR. This review originally appeared in TLR’s Fall 2010 issue, Refrigerator Mothers.